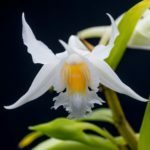 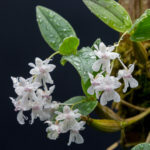 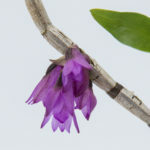 The first bloom of Dendrobium infundibulum, a wide-ranging species from SE Asia and the Chinese Himalayas, extending into eastern India as well. 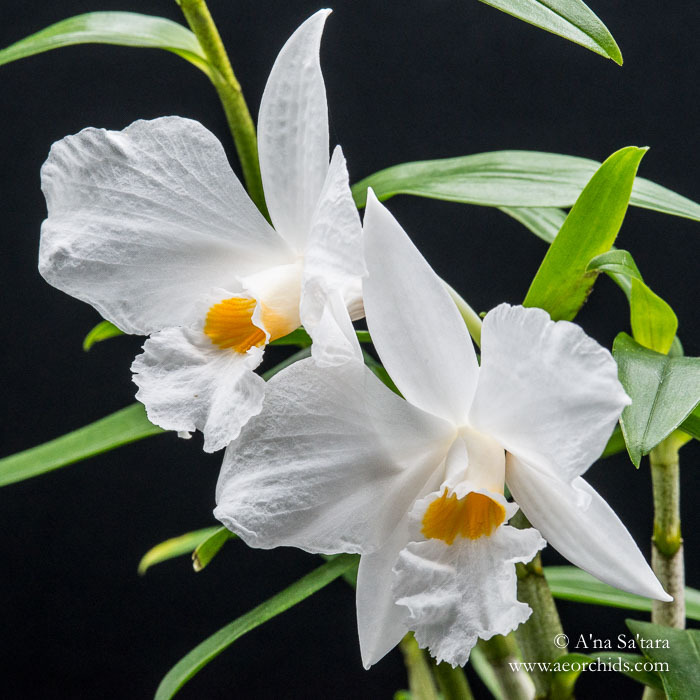 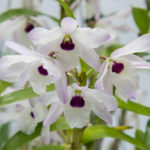 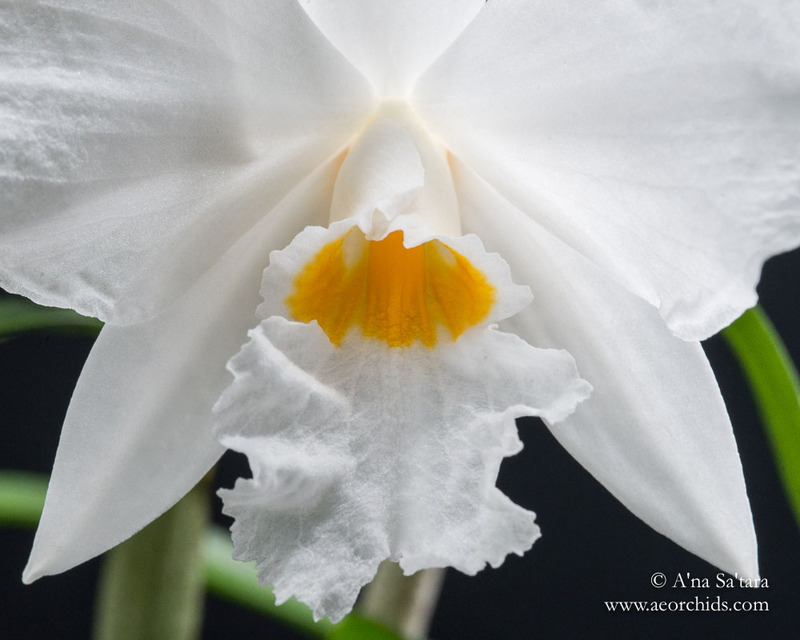 As with many widespread Dendrobium, this species is adaptable to a variety of growing temperatures. 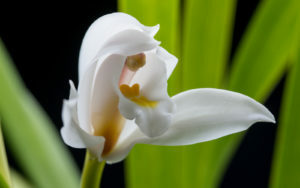 We grow ours intermediate. 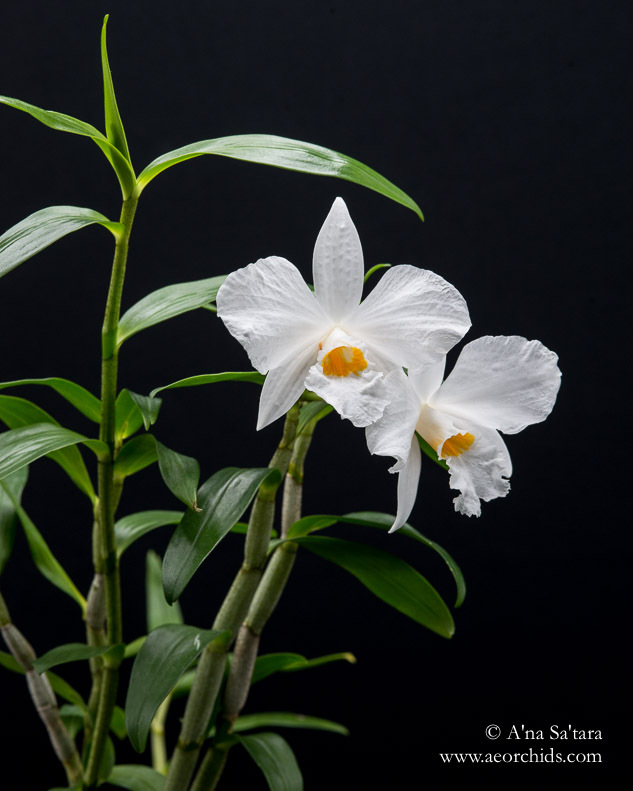 A member of the Section Formosae, the flowers are long lasting, retaining their pristine, crystalline texture and color for over a month.